I get asked a lot as to how a real estate commission works. Most people get confused when watching shows like Million Dollar Listing where huge figures in commissions get shown. But the concept of commission is very simple. A commission is a negotiable fee between the sellers and the realtor. This realtor would be considered a listing agent. Typically, a listing agent would ask for a rate of 6%. To keep the math simple it would look like this: $100,000 (sale price) x 6% (commission) = $6,000 commission. The commission gets paid at closing and is usually deducted from the proceeds of the sale, if there are any. If there are no surplus proceeds, then the seller would pay the commission as a part of her fees. 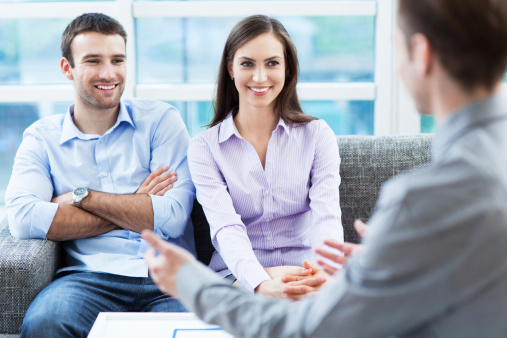 What gets really confusing for many is what happens when a buyer’s agent gets involved. If the buyers have their own realtor, the listing agent splits the commission above with the buyer’s agent. The seller would not have to pay any extra to the buyer’s agent. This is how it works in states like California. So is it worth getting a realtor to sell your home? Absolutely. There is so much that goes into selling a home. It is not just a simple price negotiation as seen on TV. There are market fluctuations, pricing adjustments, inspections, escrow processes, contingency deadlines, buyer screenings along with a lot of other issues and surprises that come up in the sale of the home. Lacking the knowledge or experience in any of aspect of the sale of a home could end up costing you much more than just a simple commission. And if you get a good realtor, you will not even feel how complicated the process really is. As I have been told my many of my clients, the peace of mind they receive is worth quadruple any commission they paid. Ramsey Judah is a broker with the The Judah Group and can be reached at ramsey@TheJudahGroup.com or @RamseyJudah on Instagram and Twitter. FHA Loan vs Conventional Loan, What is the Difference? Will the New Tax Plan Affect Real Estate?